Klymenko V. A., Kozhyna O. S.
Object. Define the amount of thymic stromal lymphopoietin (TSLP) in bronchial asthma (BA) pathogenesis in children by detecting the effect of TSLP on clinic and paraclinic symptoms of BA manifestation. Methods and Materials. 70 children aged 6–17 years old were observed. The control group consisted of 20 healthy children, randomized by age. 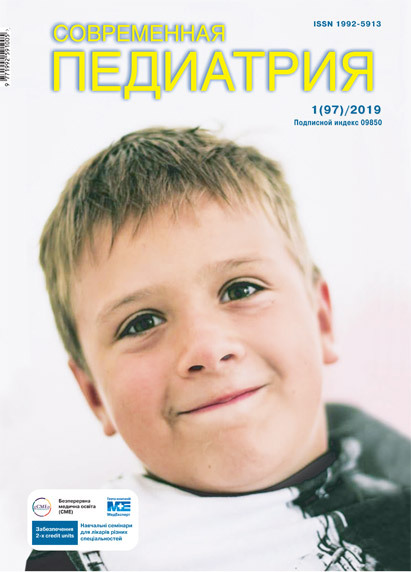 Standard methods of examination in accordance with the unified clinical protocol «Bronchial Asthma in Children» (order of the Ministry of Healthcare of Ukraine on 08.10.2013, No 868) were applied. The TSLP level was defined in remission period by the immunoenzyme method. Results. The reference levels of serum TSLP (19.39 (6.13; 49.52) pg/ml) and levels of TSLP depending on severity of BA were determined: intermittent form — 12.44 (6.42; 17.21) pg/ml; mild persistent form — 5.95 (4.50; 15.57) pg/ml; moderate persistent form — 10.67 (4.68; 21.20) pg/ml; severe persistent form — 81.84 (62.60; 98.9) pg/ml. When analyzing the effect of TSLP level on clinical features of BA (term of manifestation, duration of BA, presence of atopy, comorbid state of atopic dermatitis and allergic rhinitis, allergic and BA inheritance were explored), only probable difference for hereditary tainted allergy (P=0.027) was revealed. Analysis of TSLP level correlation with paraclinic criteria revealed probable correlation connections of TSLP level with FEV1 (r=-0.213; Р=0.039), absolute lymphocyte CD8 count (r=-0.254; Р=0.034), absolute lymphocyte CD25 count (r=-0.248; Р=0.038); NBT test stimulated (r=0.250; Р=0.037). Conclusions. TSLP level in blood serum in schoolDaged children suffering from BA is probably higher in the case of severe disease and due to hereditary tainted allergy, correlates with FEV1, lymphocyte CD8 count, lymphocyte CD25 count and NBT test. Key words: children, bronchial asthma, pathogenesis, clinic and paraclinic symptoms, serum thymic stromal lymphopoietin. 2. Blinchikova MS. (2014). Clinic Immunologic and Microbiologic Aspects of Bronchial Asthma in Adults. Chelyabinsk:127. 4. Allakhverdi Z, Comeau MR, Jessup HK, Yoon BR, Brewer A, Chartier S, Paquette N, Ziegler SF, Sarfati M, Delespesse G. (2007). Thymic stromal lymphopoietin is released by human epithelial cells in response to microbes, trauma, or inflammation and potently activates mast cells. J Exp Med. 204(2):253—258. https://doi.org/10.1084/jem.20062211. 5. Al-Shami A, Spolski R, Kelly J, Keane-Myers A, Leonard WJ. (2005). A role for TSLP in the development of inflammation in an asthma model. J Exp Med. 202(6):829—839. https://doi.org/10.1084/jem.20050199. 6. Bjerkan L, Schreurs O, Engen SA, Jahnsen FL, Baekkevold ES, Blix IJ, Schenck K. (2015). The short form of TSLP is constitutively translated in human keratinocytes and has characteristics of an antimicrobial peptide. Mucosal Immunol. 8(1):49—56. 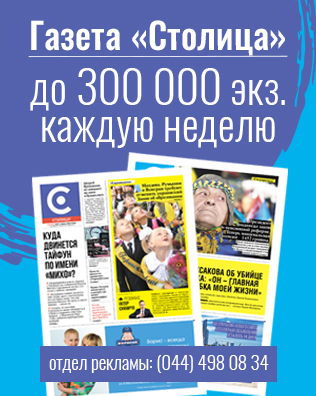 https://doi.org/10.1038/mi.2014.41. 7. Chauhan A, Singh M, Agarwal A, Paul N. (2015). Correlation of TSLP, IL-33, and CD4 + CD25 + FOXP3 + T regulatory (Treg) in pediatric asthma. J Asthma. 52(9):868—872. https://doi.org/10.3109/02770903.2015.1026441. 8. Comeau M, Ziegler S. (2010). The influence of TSLP on the allergic response. Mucosal Immunol. 3(2):138—147. https://doi.org/10.1038/mi.2009.134. 9. Fornasa G, Tsilingiri K, Caprioli F, Botti F, Mapelli M, Meller S, Kislat A, Homey B, Di Sabatino A, Sonzogni A, Viale G, Diaferia G, Gori A, Longhi R, Penna G, Rescigno M. (2015). Dichotomy of short and long thymic stromal lymphopoietin isoforms in inflammatory disorders of the bowel and skin. J Allergy Clin Immunol. 136(2):413—422. https://doi.org/10.1016/j.jaci.2015.04.011. 13. Gudbjartsson DF, Bjornsdottir US, Halapi E, Helgadottir A, Sulem P, Jonsdottir GM et al. (2009). Sequence variants affecting eosinophil numbers associate with asthma and myocardial infarction. Nat Genet. 41:342—347. https://doi.org/10.1038/ng.323. 14. Harada M, Hirota T, Jodo AI, Hitomi Y, Sakashita M, Tsunoda T, Miyagawa T, Doi S, Kameda M, Fujita K, Miyatake A et al. (2011). Thymic Stromal Lymphopoietin Gene Promoter Polymorphisms Are Associated with Susceptibility to Bronchial Asthma. Am J Respir Cell Mol Biol. 44(6):787—793. https://doi.org/10.1165/rcmb.2009-0418OC. 15. Harada M, Hirota T, Jodo AI, Doi S, Kameda M, Fujita K et al. (2009). Functional analysis of the thymic stromal lymphopoietin variants in human bronchial epithelial cells. Am J Respir Cell Mol Biol. 40(3):368—374. https://doi.org/10.1165/rcmb.2008-0041OC. 16. He JQ, Hallstrand TS, Knight D, Chan-Yeung M, Sandford A, Tripp B et al. (2009). A thymic stromal lymphopoietin gene variant is associated with asthma and airway hyperresponsiveness. J Allergy Clin Immunol. 124 (2): 222—229. https://doi.org/10.1016/j.jaci.2009.04.018. 17. Holgate ST. (2012). Innate and adaptive immune responses in asthma. Nat Med 18(5):673—683. https://doi.org/10.1038/nm.2731. 18. Ito T, Liu Y-J, Arima K. (2012). Cellular and molecular mechanisms of TSLP function in human allergic disorders-TSLP programs the «Th2code» in dendritic cells. Allergol Int. 61(1):35—43. https://doi.org/10.2332/allergolint.11-RAI-0376. 20. Koczulla AR, Vogelmeier CF, Garn H, Renz H. (2017). New concepts in asthma: Clinical phenotypes and pathophysiological mechanisms. Drug Discov Today. 22(2):388—396. https://doi.org/10.1016/j.drudis.2016.11.008. 21. Lee EB, Kim KW, Hong JY, Jee HM, Sohn MH, Kim KE. (2010). Increased serum thymic stromal lymphopoietin in children with atopic dermatitis. Pediatr Allergy Immunol. 2(2):457—460. https://doi.org/10.1111/j.1399-3038.2009.00919.x. 22. Masuko H, Sakamoto T, Kaneko Y, Iijima H, Naito T, Noguchi E, Hirota T, Tamari M, Hizawa N. (2011). Lower FEV1 in non-COPD, nonasthmatic subjects: association with smoking, annual decline in FEV1, total IgE levels, and TSLP genotypes. Int J Chron Obstruct Pulmon Dis. 6:181—189. https://doi.org/10.2147/COPD.S16383. 23. Mou Z, Xia J, Tan Y et al. (2009). Overexpression of thymic stromal lymphopoietin in allergic rhinitis. Acta Otolaryngol. 129(3):297—301. https://doi.org/10.1080/00016480802225884. 24. Poposki JA, Klingler AI, Stevens WW, Peters AT, Hulse KE, Grammer LC, Schleimer RP, Welch KC, Smith SS, Sidle DM, Conley DB, Tan BK, Kern RC, Kato A. (2017). Proprotein convertases generate a highly functional heterodimeric form of thymic stromal lymphopoietin in humans. J Allergy Clin Immunol. 139(5):1559—1567.e8. https://doi.org/10.1016/j.jaci.2016.08.040. 26. Salabert-Le Guen N, Hemont C, Delbove A, Poli C, Braudeau C, Fantou A et al. (2018). Thymic stromal lymphopoietin does not activate human basophils. J Allergy Clin Immunol. 141(4):1476—1479.e6. https://doi.org/10.1016/j.jaci.2017.11.012. 27. Soumelis V, Reche PA, Kanzler H, Yuan W, Edward G et al. (2002). Human epithelial cells trigger dendritic cell mediated allergic inflammation by producing TSLP. Nat Immunol. 3(7):673—680. https://doi.org/10.1038/ni805. 31. Zhou B, Comeau MR, De Smedt T, Liggitt HD, Dahl ME et al. (2005). Thymic stromal lymphopoietin as a key initiator of allergic airway inflammation in mice. Nat. Immunol. 6(10):1047—1053. https://doi.org/10.1038/ni1247. Article received: May 21, 2018. Accepted for publication: Oct 30, 2018.